Dr. Donald T. Satterwhite was called as pastor of Calvary Baptist Church Sedalia May 3rd, 2015. He most recently served as pastor of the First Baptist Church of Eagle Lake, Florida. He graduated from Florida Bible College, Hollywood, FL in 1975, New Orleans Baptist Theological Seminary in 1989 with a Master of Divinity, and 2003 with a Doctorate of Ministry. 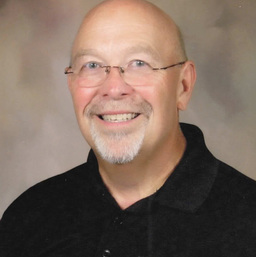 Pastor Don (as he likes to be called) has also served Southern Baptist Churches in the Carolina’s, Pennsylvania, Maryland and Connecticut. He is a native of Florida being raised in Tampa. He has three brothers who are also Baptist ministers and a beloved sister who now resides in heaven. Pastor Don believes that people need the Lord and that the purpose of the church is to fulfill the Great Commandment and the Great Commission. It can all be summed up when those who make up the church LOVE GOD, LOVE PEOPLE & CHANGE THE WORLD. He loves to preach the gospel of the grace of God and help people find their place and their fit in the body of Christ. Acts 1:8 is a challenge he takes personally and he has gone on mission to Kenya, Scotland, Haiti, and India. Pastor Don is married to the love of his life, Marie (Giliberti) of Miami, Florida. Marie is a licensed clinical counselor who loves helping people discover victory and peace. They are the proud parents of three grown children: Paul, an attorney who lives in in Springfield with his wife Shay and his children Graham (12), Lena Grace (10) and Clara (6); Jessica, a professional educator and entrepreneur who lives in Warwick, Rhode Island with her daughter Ariana (10), and Rachel who a Graphics Designer for Price Shopper and lives in Nixa with her husband Brent Swickard and their daughters Taylor (14) & Raegan (17mos). Pastor Don is an avid cyclist and loves riding “The Katy Trail” traveling many miles getting in his much needed cardio while enjoying the scenery of Missouri. He also enjoys golf with friends and loves to travel with his wife and spend time with his grandchildren. The bottom line is that Pastor Don believes he is on this planet to make a difference in the lives of others for the glory of God. Come to Calvary and hear the message God has laid on his heart or click on his latest message here on the website.